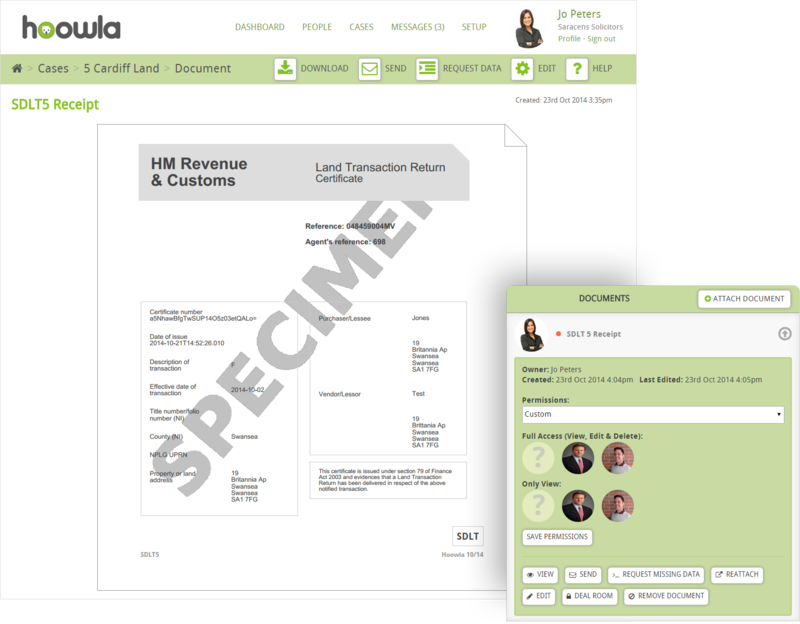 Hoowla continues to deliver cost and time-saving features for customers with their latest release enabling solicitors and conveyancing practices to submit stamp duty online to HRMC. Completing stamp duty is frustrating and time consuming for conveyancers. If not done correctly and on time it can lead to the firm being fined by HM Revenue and Customs. Hoowla has made the whole process effortless by seamlessly integrating it into their conveyancing software. This latest feature adds to a growing list of integration's with third party services that Hoowla have developed to help streamline the processing of conveyancing matters for solicitors.